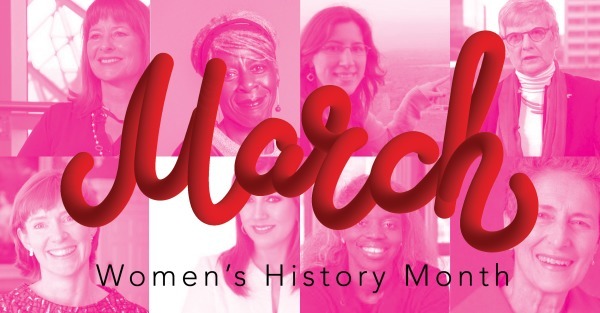 For Women’s History Month, I asked the team at Lord Cultural Resources—itself a global woman-led company—to give a shoutout to some of the inspiring and amazing women they work with. Below is a opening post to a Women's History Month tribute for Ada Monzón, the Founder of EcoExploratorio, Puerto Rico’s environmental science centre, Janera Solomon, Executive Director of the Kelly Strayhorn Theater in Pittsburgh, and Caro Howell, the director of London’s Foundling Museum. She was awarded the Holger International Memorial Prize (considered the Nobel Prize for historians) for pioneering social and cultural history by revealing great meaning and deeper historical trends in the lives of marginalized people—women, slaves, and working people. Patricia Bovey is a tireless advocate for the importance of museums, galleries, archives, and culture for the well-being of society. Baroness Young of Hornsey sits as an independent in the British House of Lords, where she promotes arts, culture and social justice. Gail Asper is a tireless campaigner to build and sustain the Canadian Museum for Human Rights—the world’s first national museum for human rights and Canada’s one of only two national museums outside the capital region. Nathalie has deeply inspired me in her groundbreaking approach to the Museum’s place in community health and individual wellbeing. Iconic building has had extensive refurbishment, ready for next phase as contemporary art gallery. Contemporary Calgary is set to reveal some early design plans for turning the old planetarium building into a contemporary art gallery, while inviting public input at an open house Thursday. SANTA FE, N.M. — It was good timing for a Rosie the Riveter sculpture at the New Mexico History Museum. The big monument – six feet tall excluding its platform and made from more than 2,600 3-D printed parts – was installed at the start of March, Women’s History Month. The Louvre Abu Dhabi, Washington’s National Museum of African American History and Culture, and Winnipeg’s Canadian Museum for Human Rights—it’s an impressive list. In addition to being humanist in perspective, these cultural institutions have in common that my Canadian cultural planning firm helped to develop each of them. Elevated parks are all the rage. Spearheaded by James Corner’s work on New York’s High Line, cities across the globe are currently investing heavily in elevated urban parks that offer top-down views of familiar terrain. While some follow the High Line’s blueprint of repurposing abandoned rail lines, many more are simply planting trees and pathways wherever they can. Walk with us through the latest urban landscaping improving city life across the globe. Visitors to the Canadian Museum for Human Rights (CMHR) next week can journey through the struggle for women’s rights and inspiring contributions by women in Canada and around the world. A celebrated exhibition revealing the extensive presence of the Black model in art from 19th century France to modern day opened today at the Musée d’Orsay with an unexpected and exciting update: works featuring anonymous Black models have been renamed to honor their sitters. Saving the planet. It’s not just the subject of passionate political debate. It’s at the heart of a growing number of museum exhibitions this year, including the works of old masters and exhibits built with high-tech innovations, designed to inspire artistic appreciation and a desire to respond to environmental challenges. No one knows how many masterpieces of Western art Qatar has bought. It is reported to have splashed out billions of dollars on works by blue-chip artists: Picasso, Rothko, Matisse, and Cezanné, plus contemporary must-have names. But if you think that the new Jean Nouvel-designed National Museum of Qatar was built to house them, think again. The kingdom’s trophy art remains under wrap. There isn’t a Rothko in sight. BERLIN—Step into the main hall of the Natural History Museum here and you'll be greeted by a towering dinosaur skeleton, the tallest ever mounted. Nearly four stories high and twice as long as a school bus, the sauropod Giraffatitan brancai was the largest dinosaur known for more than a half-century. It has been a crowd magnet since it was first displayed in 1937. Stockholm Museum of Women’s History is a new and innovative museum which focuses on women's presence in history. Rather than being in a fixed location, it is a mobile entity, a moving consciousness. This spring is shaping up to be a busy season one on the art calendar, with both the Whitney Biennial and the Venice Biennale opening within weeks of each other in May, and notable exhibitions taking place all over in the coming months, from a trailblazing survey of art after the Stonewall Rebellion to retrospectives for Lino Bo Bardi, Huma Bhabha, Luchita Hurtado, and El Anatsui, to biennials in Havana and Honolulu. And this is not even including gallery shows and—one hesitates to even say it—art fairs. Below, a look at the winter’s most promising museum shows and biennials. The Imitation Game. Are museums being clear enough with the public about what’s real and what’s fake? On the second concourse of the Smithsonian’s National Museum of African American History and Culture, you can view Panel No. 1 of Jacob Lawrence’s 60-painting “Migration Series.” Installed as part of the exhibit “Defending Freedom, Defining Freedom,” the painting addresses the northern migration of millions of African Americans after World War I — showing throngs of abstracted figures largely rendered in green and black filing through a train station, bound for Chicago, New York and St. Louis. The Sarawak Museum Campus (Malaysia) is set to open in 2020, as per Tourism, Arts, Culture, Youth and Sports Minister Datuk Abdul Karim Rahman Hamzah. This project, the second-largest museum in South-East Asia, will be focused on heritage and environment. The Council on Tall Buildings and Urban Habitat (CTBUH) has dubbed the 85.4-meter Mjøstårnet, in Brumunddal, Norway, as the world's tallest timber building. For nearly a decade, New Yorkers have watched (at times with feigned enthusiasm) as glass and steel seemed to be in a slow-motion race toward the sky in Manhattan's midtown west. The end result has come to be known as Hudson Yards, the largest mixed-use private real-estate project in American history: a meganeighborhood that includes four skyscrapers designed by some of the world's most high-profile architects; a seven-story, 720,000-square-foot shopping mall; an eye-catching (if not head-scratching) cultural center dubbed the Shed; and a curious-looking structure anchoring the entire project. The digital art museum L’Atelier des Lumières brings Vincent Van Gogh’s paintings to life, projecting them on the walls, ceilings and floors of a former foundry, accompanied by music and immersing visitors in the chromatic splendor of the artist's pictorial world. How are scientific artifacts preserved? Exploring new and traditional conservation methods. The experience phenomenon first began to take hold in the marketing world around five years ago, as brick-and-mortar stores sought to find a way to attract young people who otherwise might do their shopping online. That desire to create something that can be felt, rather than purchased or passively observed, has since bubbled over into museums. The Art Newspaper's exclusive annual survey ranks the world's most visited shows in 2018, looks at the rise of Instagram-friendly exhibitions, and reveals the secrets of getting into a blockbuster. A range of exhibits this March highlight both the work of female artists and of items and documents that track the progress of women’s rights. From Los Angeles to Boston, Chicago and New York, here are some of the female art exhibitions which tie into women’s history, many of which look to the past to reflect upon the present. The arts and cultural sector contributed over $763.6 billion to the American economy in 2015—more than the agriculture, transportation, or warehousing sectors, according to new U.S. government data released Tuesday by the Bureau of Economic Analysis (BEA) and the National Endowment for the Arts (NEA). A short film profiling the founder of the Women of the World Festival and former director of Britain's largest cultural institution offers her advice to young women struggling to find their own voices. The UK’s capital is closely followed by Paris and Rome in this year’s Travellers’ Choice awards. London might not be burning right now, but it is definitely hot. At least according to the users of the world’s largest online travel site — TripAdvisor. The Sharjah Commerce and Tourism Development Authority (SCTDA) has confirmed that it will be joining leading participants in the Riyadh Travel Fair, taking place on March 28-29, 2019, to highlight tourism, cultural and leisure attractions in Sharjah and promote the emirate as one of the most significant local and international tourism destinations.